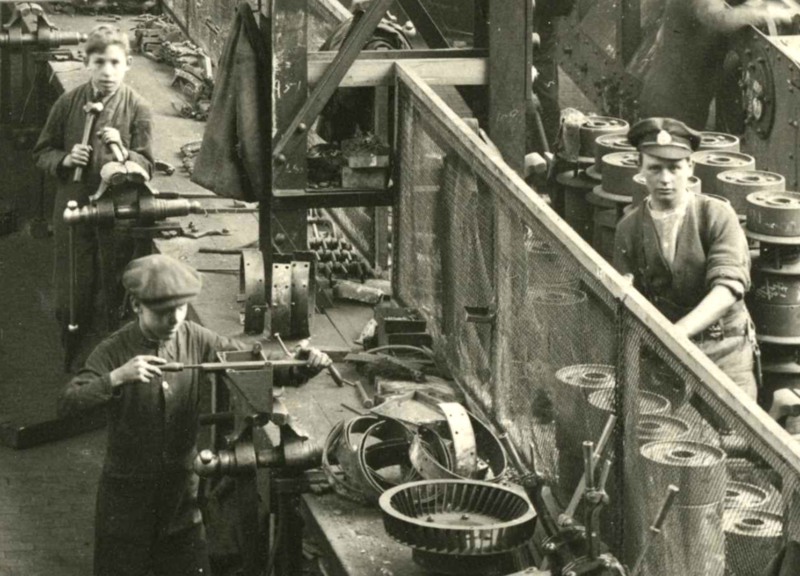 Through my work in the archive and exploring our digital collections I’ve encountered several incredible photographs. Recently I have been preoccupied with thoughts on how we provide access to these images, and particularly how digital technology allows us to explore things in particular ways. 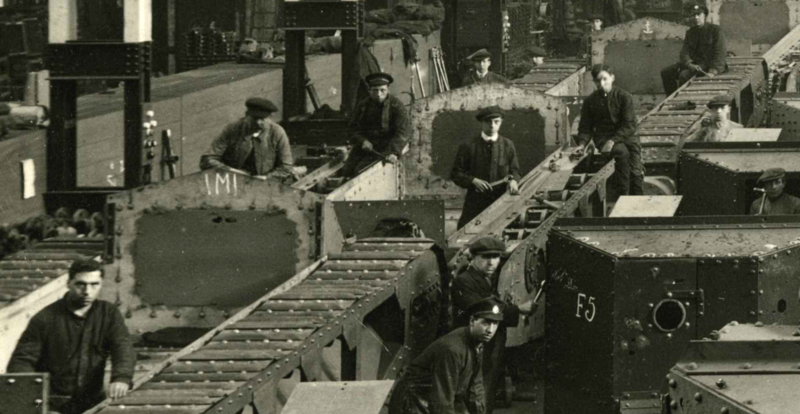 Through digitisation we have extremely high-resolution copies of original documents. These act as surrogates that we can share much more widely online, proving access beyond only to people who are physically close enough to visit the archives in person, which is great; access and knowledge are democratised. What I’ve found in looking through these high-resolution digital copies is that they change how I look at images. 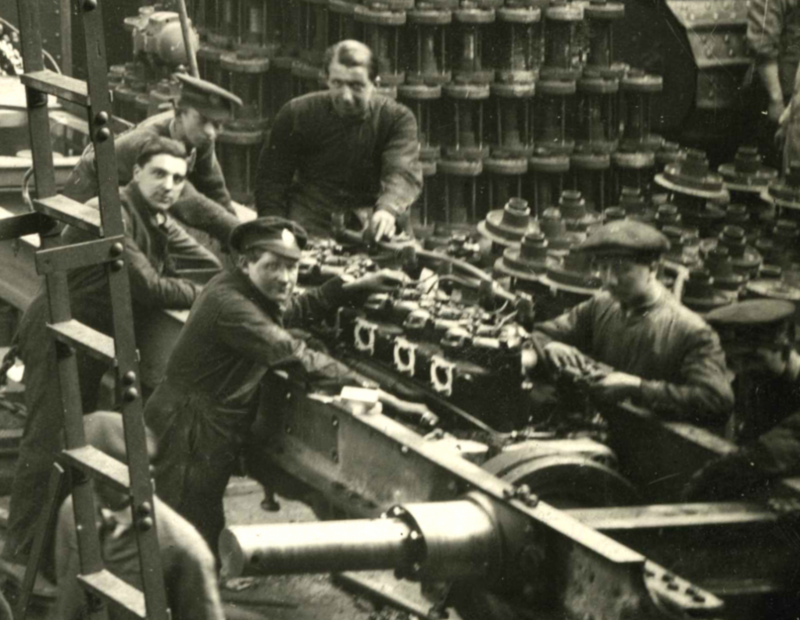 This photograph is from the Stern collection here in the Liddell Hart Centre for Military Archives. 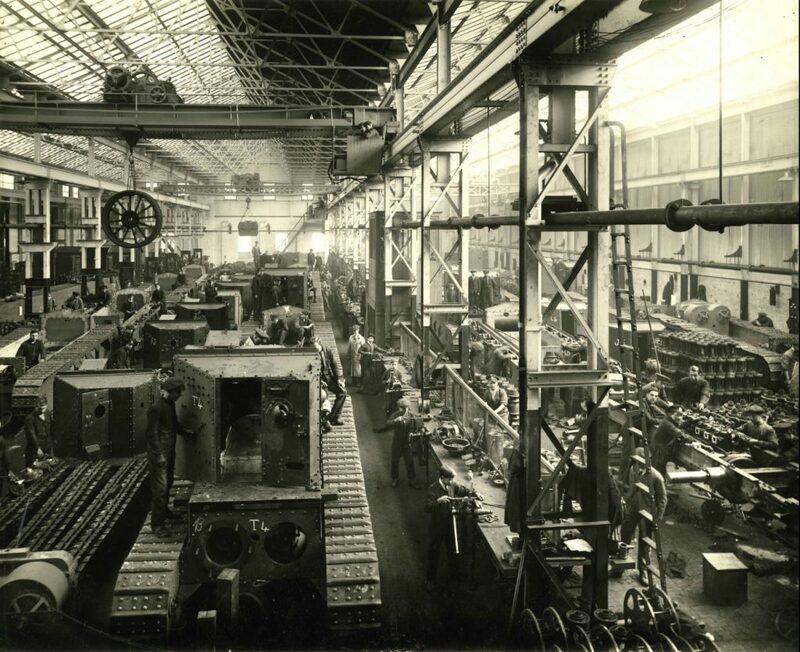 This shows the interior of a tank factory during the First World War. The composition and lighting are striking. The sense of scale and level of industry and resources, both in terms of workers and material, are made very apparent. The digital copy of this image was scanned at a resolution of 6,919 x 5,656 pixels. At this extremely high-resolution we can zoom right in and explore the image in great detail. As I zoomed and panned around I ended up lingering on different sections of the image, fascinated by vignettes I was seeing. I was drawn to the people. 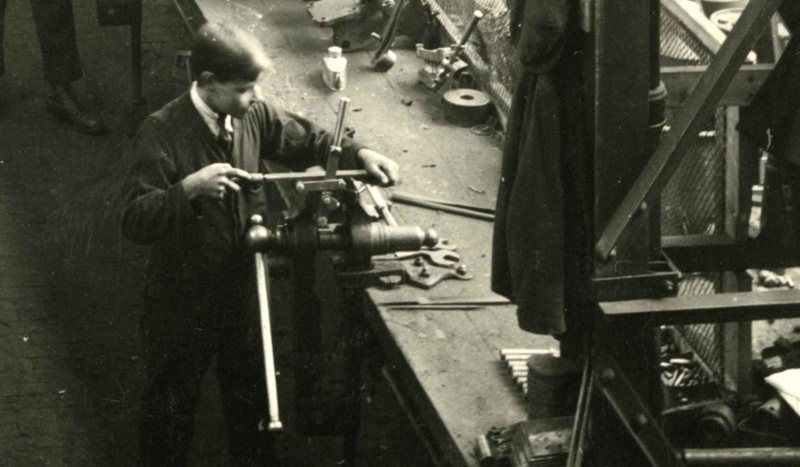 The first thing I did was zoom in on the area showing the boys at the work bench. They seem so incredibly young. Looking back at the image as a whole, you can see them, but at this scale they become individuals, with their own lives. These different faces and poses have such personality. My colleague and I spent time a long time exploring this one image, fascinated by all the individuals. As you go through each part in this way, zooming in and panning around, the screen becomes a new frame within the original frame of the photograph. Isolating elements of the photo in this way allows you to see things in different ways, and obviously at an incredible level of detail. 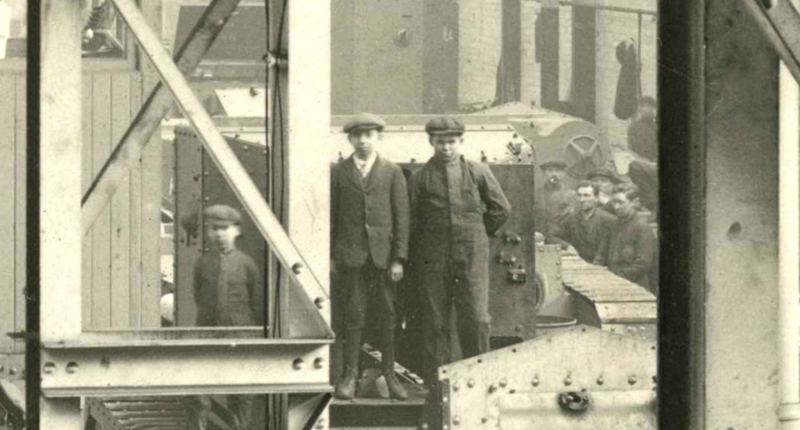 It seems clear that the workers have been called to look towards the camera. Some are posing, some are looking up from their work, and others are ignoring it and just carrying on. 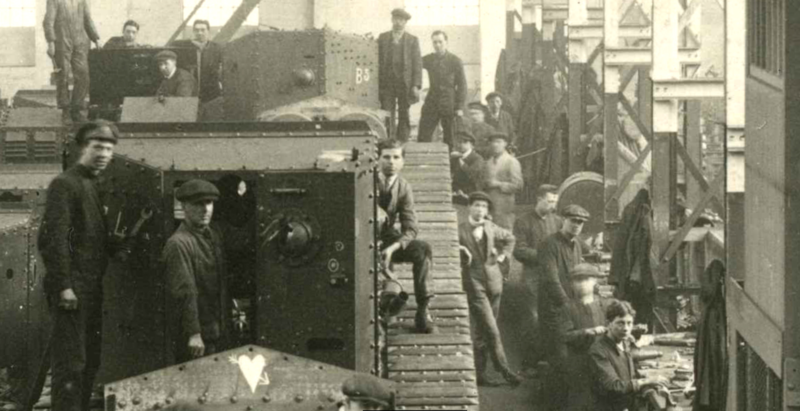 Look at the pose of the man leaning on the tank tracks! The upshot of all this is that I found this ability to zoom all the way in and pan around the image was a different experience to looking at the photograph as a whole. One could compare the experience to that of looking closely at a physical print of a photograph with a magnifying glass. I think the point is that we should carefully consider how we present digital copies of material to users. The technology is now such that we can provide this experience to people online, whereas even relatively recently a digital copy was a lesser version of the original, but at least you could see something. And having found that the experience of roving across the photograph impacted the thoughts and questions that were coming to me, I think it’s more than just ‘oh, we can stick really high-resolution images of photos online.’ The act of zooming and panning to create new frames within the image felt very different to just panning around a fixed level of zoom. Due to storage limitations I can’t share the same experience in this blog. But there are tools available that mean in the near future we should be able to provide this experience to users accessing material remotely, looking through collections online. This democratises not only the access to material but also to the experience of getting extremely close to material. 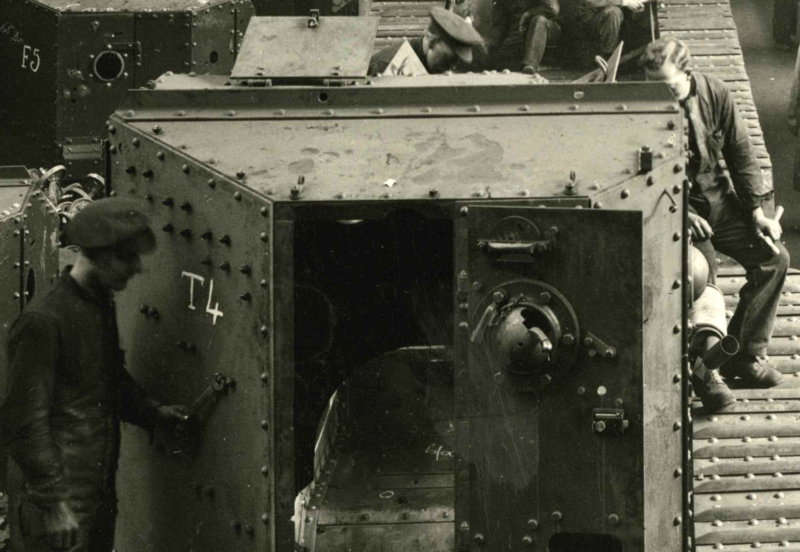 This entry was posted in Liddell Hart Centre for Military Archives, Military history and tagged archives, lhcma, photograph, tanks, World War One by Ben Barber. Bookmark the permalink.